The 9th MPH Breakfast Club for LitBloggers on Saturday, October 27, 2007, will feature Choong Kwee Kim, whose first illustrated book, Ah Fu The Rickshaw Coolie (MPH Publishing, 2007), was released in August 2007. Kwee Kim is a journalist with The Star in Penang, Malaysia. Also featured is Daphne Lee, author of One Red Flower, A is for Anklet, If I Were a Star and Sweet Pink Posies (MPH Publishing, 2006). 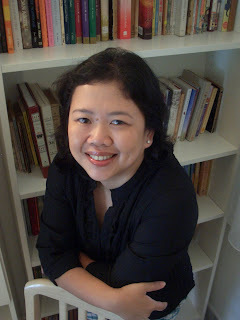 A columnist and book reviewer with The Star’s Sunday magazine, StarMag, Daphne is a passionate advocate of children’s books with Malaysian content. She has a huge book collection that goes back more than 30 years that is still growing. Her dream is to own a bookshop and write good children’s books. Choong Kwee Kim and Daphne Lee will be introduced by Eric Forbes. Janet Tay will facilitate the session. The 10th MPH Breakfast Club for LitBloggers on Saturday, November 24, 2007 will feature novelist Tan Twan Eng, whose first novel, The Gift of Rain (Myrmidon Press, 2007), was released in March 2007 and was longlisted for the 2007 Booker Prize for Fiction, as well as novelist D. Devika Bai, a retired schoolteacher who has published her first novel, The Flight of the Swans (Monsoon Books, 2005). Tan Twan Eng and D. Devika Bai will be introduced by Eric Forbes. Janet Tay will be facilitating the session. 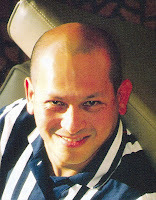 The 11th MPH Breakfast Club for LitBloggers on Saturday, January 26, 2008, will be featuring the Malaysian Prince of Darkness, Tunku Halim, whose collection of ghostly tales, 44 Cemetery Road (MPH Publishing, 2007), was published in May 2007. Touted as Malaysia’s Stephen King, Halim, who is equally adept at both fiction and nonfiction, will be having another collection of new and selected stories out soon, Gravedigger’s Kiss (MPH Publishing, October 2007). Eric Forbes will be introducing Tunku Halim while Janet Tay will be moderating the session. Sun, Surf and ... Books?